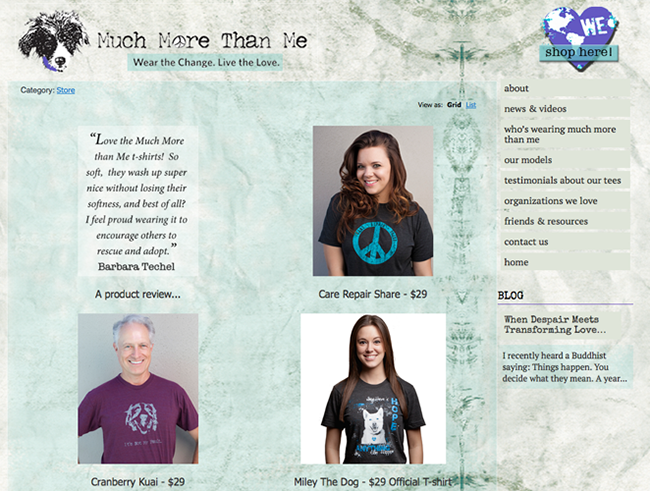 Objective: E-commerce site for specialty tee shirts designed to promote animal causes and humanitarian efforts. Sales from Much More Than Me generate donations to charities selected by purchaser. The site also includes photos of supporters, a blog, charities information and as well as the on-line store. Project: Design, build, launch, maintain. Design t-shirts.